Confronted with the results of his fabrications and deceptions, Chip suffers painful losses but discovers the redemptive power of honesty. A conceited celebrity who only sees people for their wealth travels back in time and meets an ambitious man who loves nothing more than money. 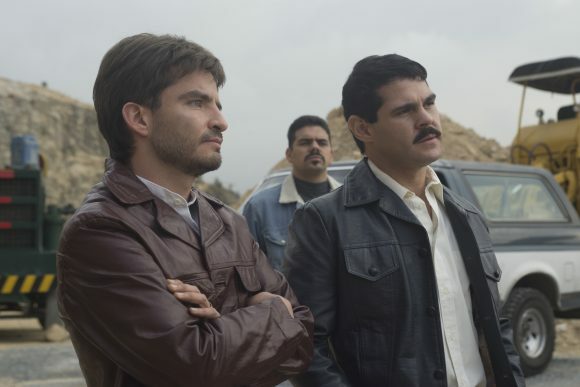 This gripping drama series chronicles the true story of the rise, capture and escape of notorious drug lord Joaquín “El Chapo” Guzmán. Big hair. Body slams. Its 1980s Los Angeles in this comedy series, and an unemployed actress keeps her dream alive by portraying a female wrestler. A thrilling new series follows Jean Holloway, a therapist who develops dangerous and intimate relationships with the people in her patients’ lives. Comics Nick Kroll and John Mulaney star in this stage show as two oddly inseparable New York geriatrics with curious pasts and a fondness for tuna. Comedian and “CQC” host Marco Luque presents his long-running stand-up show, which he’s performed for hundreds of thousands of fans in Brazil. Comic Chris D’Elia hits the stage in Vancouver and shares personal stories about marriage, not having kids, buying pants for your friends and more. Follows three promising amateur boxers as they pursue success in a sport that has experienced a steady decline in popularity. Armed with evolved powers, the Winx fairies fight monsters and dark magic to defeat the evil Queen and return Peter Pan spirit to the World of Dreams. The enthusiastic but somewhat under-talented Akko, along with friends Lotte and Sucy, trains to be a witch at Luna Nova Magical Academy. Enemy at the Gates (16/6/2017) . It’d be waiting on the premiere of season 3, which is also at the end of June. I’m sure the distributor will have made the dates coincident. BTW, I wasnt as enamoured with S2 of Zoo as S1. Whether I come back for S3 remains to be seen. Did S2 of Zoo ever make it to Prime? Btw, S3 of Zoo has been dropped from The Zone to The Box. Indicative of its sophomore year storyline IMHO. And I see that Timeless went from cancelled to renewed for S2 in just a few days. Isn’t Timeless a Sony product? What’s the status of Sony and Netflix for productions?